What is important for bedroom window coverings? Relaxing and inviting, bedrooms should be the most tranquil room within any house. We expect a lot from our bedrooms and rightly so. There are a wealth of ideas for bedroom designs over at Ideal Home why not take a look for inspiration if you are considering an update or redesign. We decided to try and understand how your window covering can help you get the most out of your bedroom and this is what we came up with for bedroom shutters. Lets take a quick look at each of these and how interior shutters really could fit the bill perfectly and make the ultimate and cheap choice for bedroom windows. Whilst wooden shutters don’t block all of the light coming into a room, they do a very good job. They will be screwed to the wall either inside or outside of a recess, so light penetration is very limited. Here’s a tip, you can add blackout blinds for ultimate light stopping and the perfect combination of healthy sleep promotion. 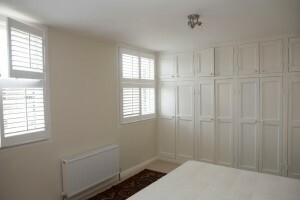 Bedroom shutters could be for you! It’s not just light we want to stop from the street outside, but also gazing from passers by. There’s a good choice of styles of shutters for this purpose. You could opt for tier on tier shutters, allowing you to open the top allowing light in, whilst keeping the lower part closed for privacy. You might even choose cafe style shutters if you want light to enter from the top but not allow anyone to see in the bottom. The slats can be angled to allow light in as well so you get the best of privacy and light. Larger lined curtains can be heavy and laborious to draw open or close. There’s no middle ground, they are either open or closed. It’s the same with blinds. First find the right cord in order to pull it, raising or lowering the slats. This isn’t the biggest point, but with shutters all it takes is a simple pull of a slat or push rod and hey presto! Your window shutters can be opened quickly and easily. Nothing could be simpler for those magical mornings. There’s really nothing to it maintaining shutters! 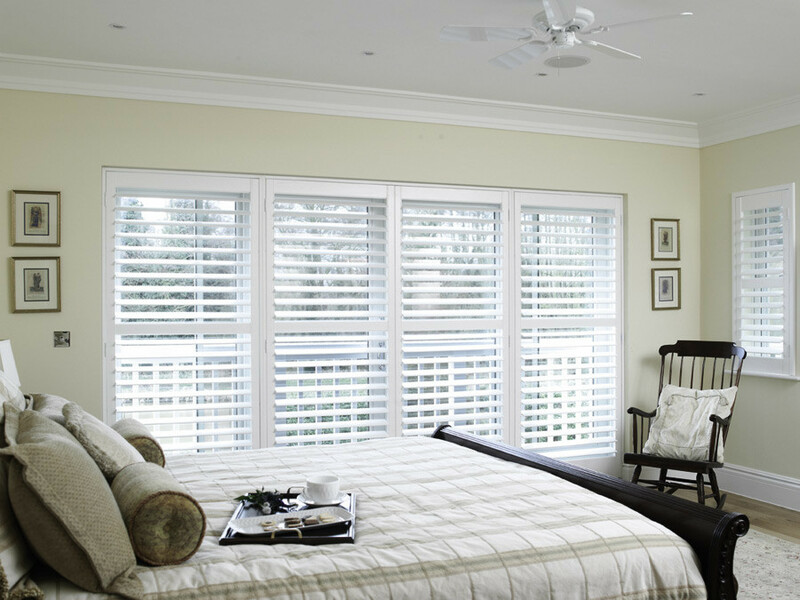 Our installers will ensure you get the perfect fit for your shutters from day one. They are magnetised so they always snap shut. Maintenance is simple by wiping them with a cloth to get the dust off! Clean and hygienic. Wooden shutters definitely lend an air of solidity to a bedroom window. In fact you might opt for solid panels, which are definitely a barrier to entry. Either way, shutters create a good solid window covering inspiring a more secure feeling in your bedroom. We made a fun infographic for ways to enjoy your mornings with shutters here. There’s nothing like having light filtering into a bedroom of a morning through angled slats. Definitely a great feel good way of waking up! 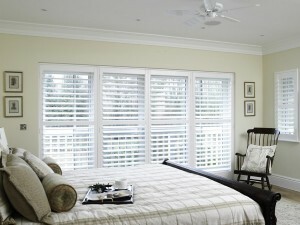 Wow factor and curb appeal all play a part in your feel good factor for bedroom shutters. Bedrooms will ideally be clutter free and tidy to promote healthy sleep. Shutters are in our opinion the cleanest lines that you can have on your windows. They’ll fit well and take up very little space so we think they provide the most clutter free option to your bedroom windows. Shutters help with the cold and the heat. Closed make for an added layer of insulation and open will allow warmth and light in. Perhaps you get too much light and heat in summer with a south facing room or a loft room? We know these can get notoriously warm. If so, you can block some of the heat whilst still allowing light in by twisting the slats to compensate for the sun’s angle. If you bedrooms get cold, they can according to the Historic Environment Scotland shutters insulate by 50% or more! Easy peasy and clever temperature regulation. We feel shutters make for the ultimate bedroom window coverings. Why not get a quotation and see if you can transform yours to a sleep oasis! 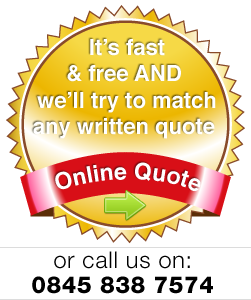 If you are generally happy with the quote, our consultant will visit and demonstrate our products and you can see for yourself how perfectly they could be used in your home!